Too often we want to build a model with someone sitting in the cockpit. This is especially true if we are doing a stand model and are not going to paint over the canopy. 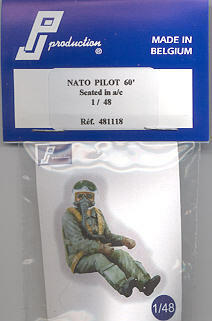 Thanks to PJ Production, we now have a very nicely done figure representing a NATO pilot from the 1960s. This will work great in Hunters, Thunderstreak/flash, F-100, and a variety of types operating during that time. The flash is minimal and the mold seam will quickly be able to be removed. It is basically an 'assemble in the right pose and paint' type of a kit. The cover image can also be used as a painting guide. 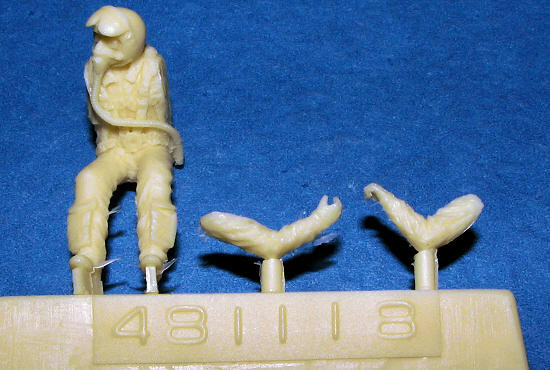 A superbly molded figure that will look great in your next applicable project, and reasonably priced as well. My thanks to PJ Production for supplying the review kit. You can order direct from the hyperlink.